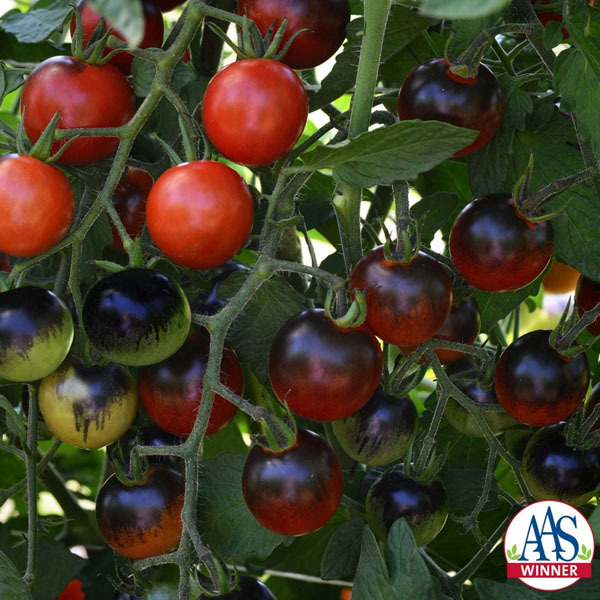 Midnight Snack is a unique indigo-type cherry tomato (similar to the INDIGO™ Tomatoes originally introduced by Log House Plants) that ripens to red with a beautiful glossy black-purple overlay when exposed to sunlight. This coloration comes from the accumulation of anthocyanin pigments, the same reason blueberries are blue and contain healthy antioxidants. The indeterminate growth habit means vines should be staked and, lucky for us gardeners, plentiful fruits will ripen all season long! 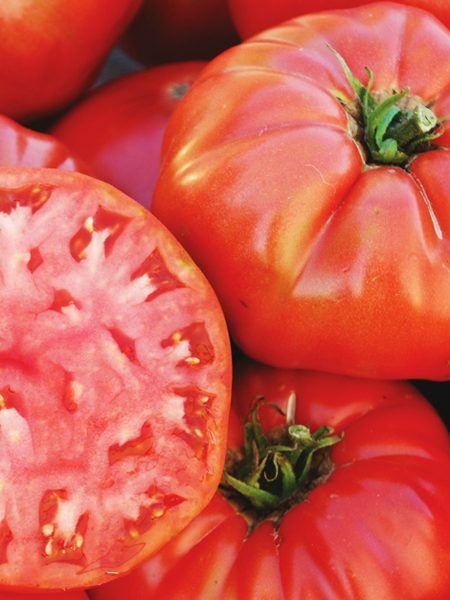 Midnight Snack is great in salads or eaten straight off the plant…a guilt-free treat any time of the day or night. 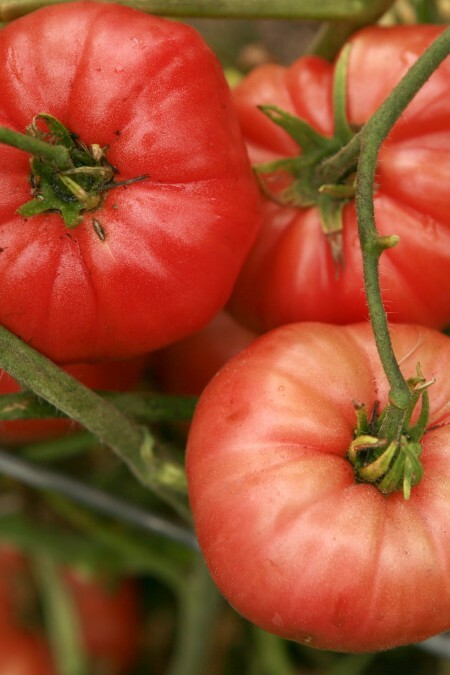 Judges commented on the improved taste of this indigo tomato and said this is a “Big improvement in purple tomatoes!” This novel AAS Winner matures earlier than the comparisons, is very easy to grow and will be a unique addition to any garden. Care: Grows to 6’. Space plants 12-18” apart in 2’ rows. Full sun. 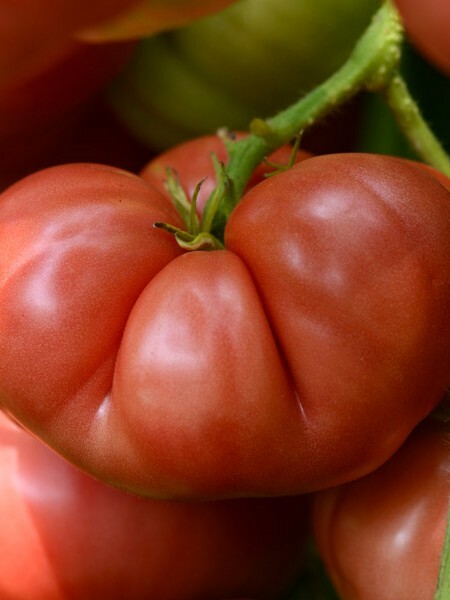 Be the first to review “Tomato ‘Midnight Snack’ Grafted Mighty ’Mato” Click here to cancel reply.